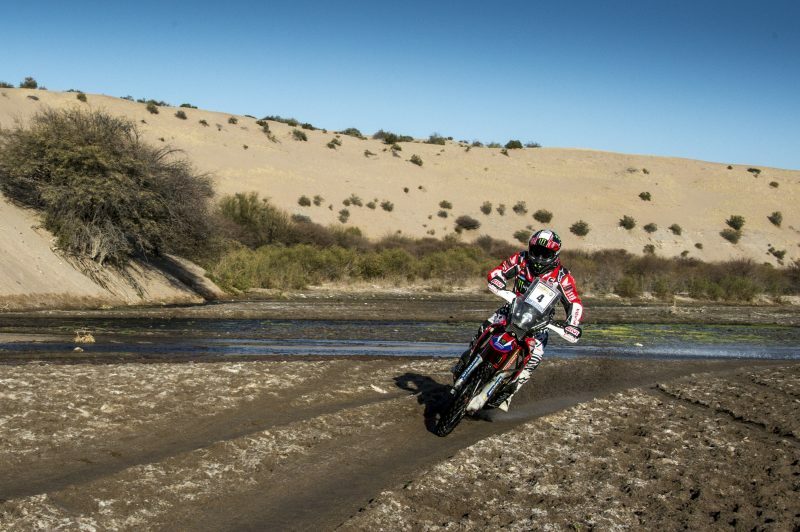 The Desafío Ruta 40 today put the competitors through one of the hardest ever stages in its history as it crossed the Fiambalá Desert. 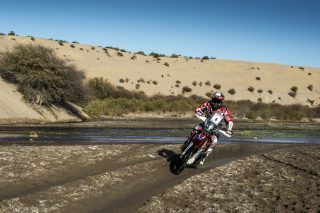 Riders had to tackle a highly demanding 320-kilometre special stage filled with tricky navigation and challenging off-piste racing. 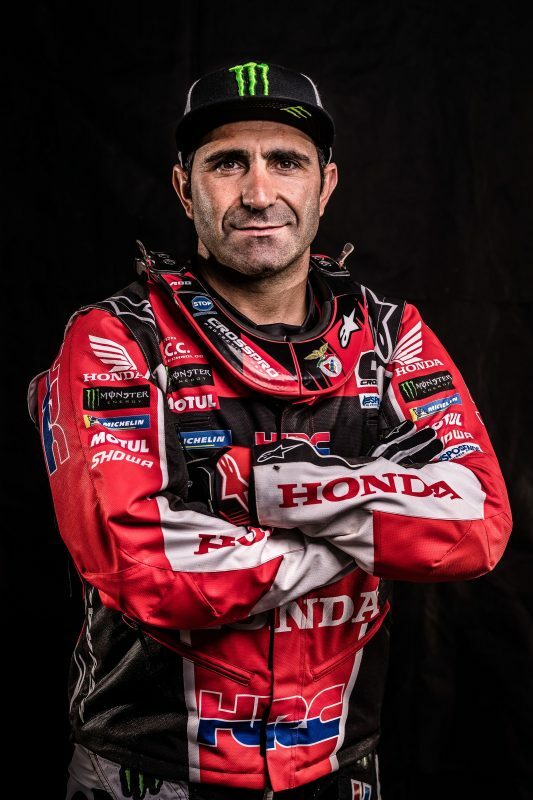 Paulo Gonçalves, who opened the track today, lies fourth overall. 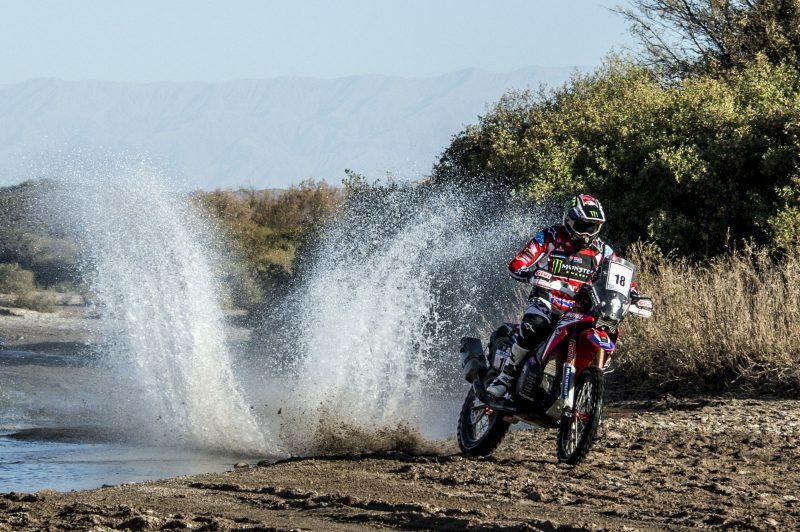 The severity of this Ruta 40 second stage proved to be not only a physical punishment, but a mental one too. 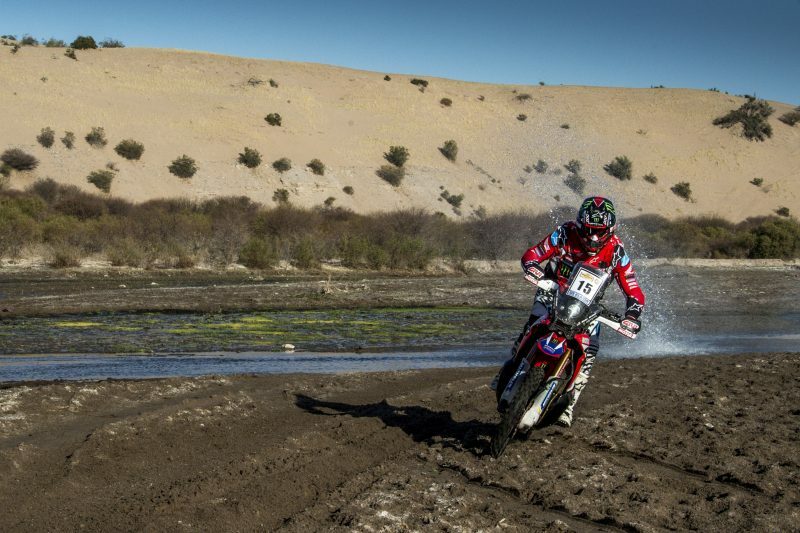 The navigation in the Fiambalá desert became increasingly more demanding, with many sections where competitors had to ride their bikes in a near perfect line, without deviating from the virtually marked route, to be able to link one point in the roadbook with the next one. With so many kilometres of off-piste and dry river beds, the stage turned out to be one of the toughest editions of the Ruta 40 ever ridden. 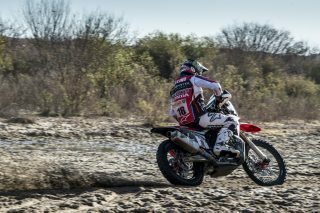 The best Monster Energy Honda Team rider was Paulo Gonçalves, who as winner of yesterday’s stage, started the stage that set off from Belén. 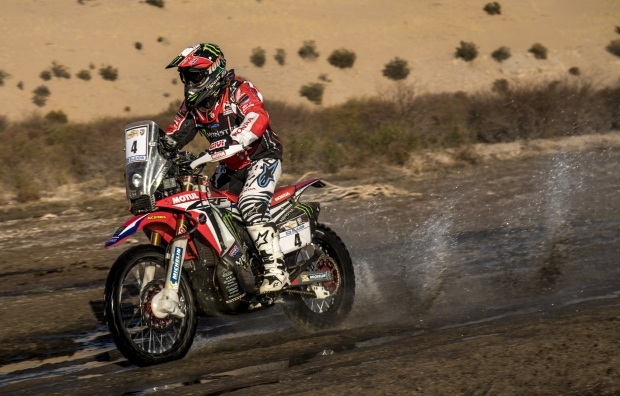 The Portuguese ace performed well on the stage and with some neat riding and navigation skills managed to minimize the handicap of having to start from the front, while leaving tracks for his adversaries to follow. 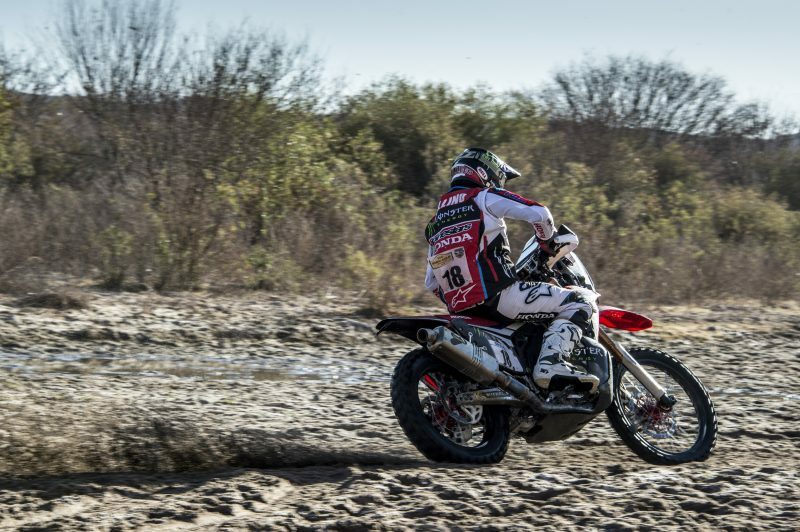 By the time Paulo had arrived at Tinogasta, he had scored the fourth fastest time of the day and had conceded just seven minutes to the eventual stage winner. Goncalves now occupies this same position in the general standings, some 2’25 off the leader. 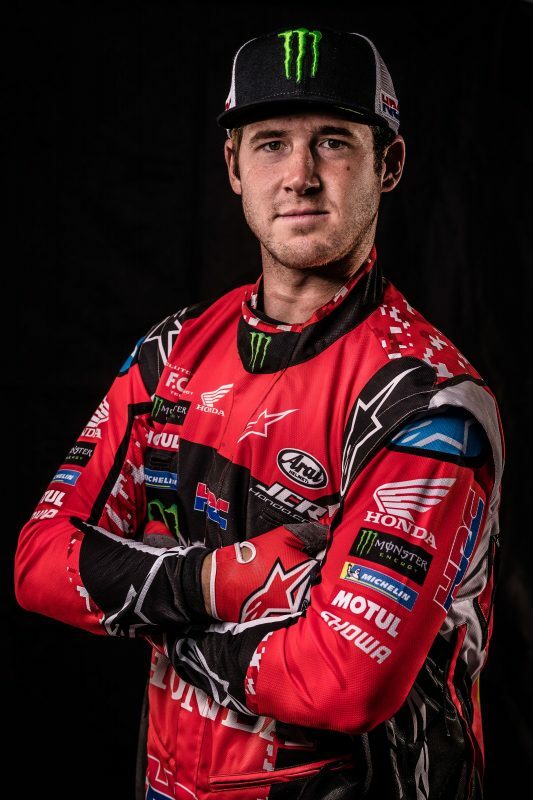 American Ricky Brabec had a minor incident with his bike this morning at kilometre 76 of the special. Fortunately, he was able to resolve a mechanical issue, although not without dropping time. Brabec was eventually able to get back in the fray and reached the bivouac of Tinogasta with the seventh quickest time of the day. 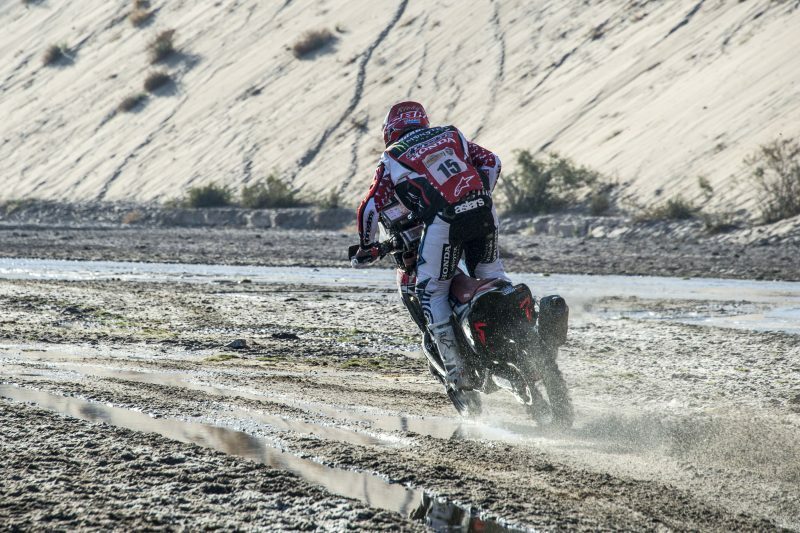 Unfortunately, the wildcard of the team, Frenchman Mathias Bellino suffered a heavy fall at kilometre 189 of the special and had to be taken to the hospital in Belén, The rider is currently undergoing a thorough examination to find out the extent of his injuries. The team wishes to express its sincerest gratitude to all the riders who stopped to attend to Mathias. 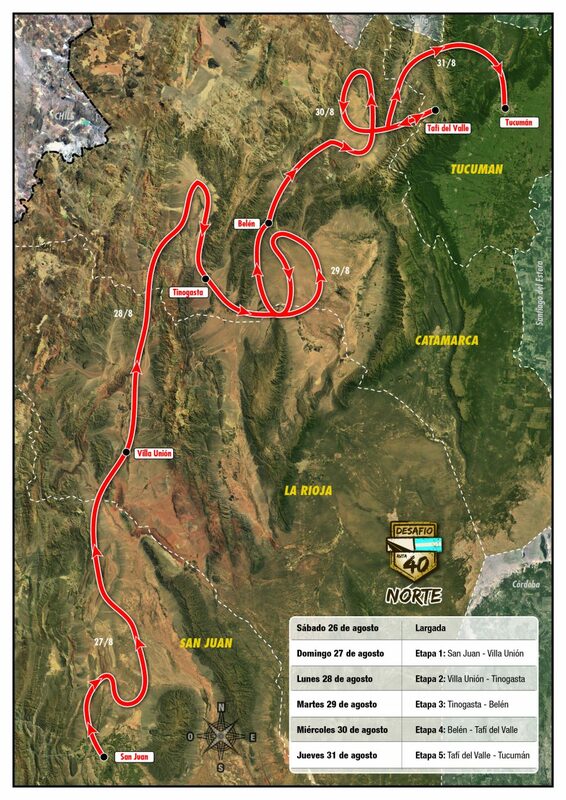 Tomorrow, Wednesday, sees the third stage of Ruta 40. This will consist of a 258.78-kilometre timed special with start and finish in Tinogasta. Today was one of the hardest stages I've had in my entire life. 320 kilometres practically everything off-piste, with dry rivers and very broken up track. I did pretty well with the navigation, there were stretches of 20 or 30 kilometres of the course, without waypoints. I did quite well, opening the track and also managed to reach the finish line first. I’m a little sad about Mathias’ fall, but I hope it is not very serious and he will be able to get over it soon. Today was more or less the most physically demanding stage I’ve ever raced in rally. It was a tough day. I’m glad it wasn’t super hot temperatures. I felt good this morning. Unfortunately I had a mechanical issue and it took some time to assess the problem and figure out what it was before I could fix anything. Eventually I got going. Hopefully tomorrow we can forget about today and push forward. Also I want to send out prayers to Mathias and hope for the best.